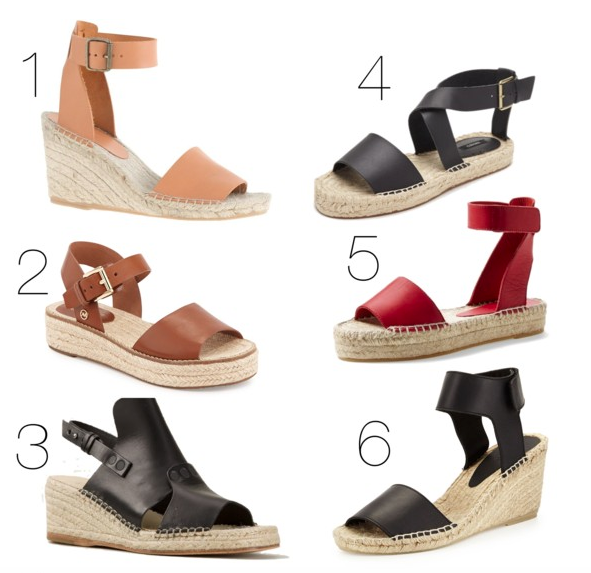 I've seen this trend of wide strapped leather espadrilles starting up everywhere! I really wanted these Forever 21 sandals (#4) but by the time I found them they were sold out! But I did get me hands on these J.Crew (#1) ones in a dark brown leather!